What is the role of the European Union (EU) in dealing with crises that go beyond the nation states’ borders, caused, for example, by terrorism, cyber attacks, regional conflicts, state failure, organised crime, natural and man-made disasters? The authors assess what they deem the EU’s main challenge: the need to operate in a multidimensional setting with a wide range of actors, such as member states, national and international NGOs, international organisations (particularly NATO and the UN), as well as a wide range of activities, rules and norms, which these diverse crises generate. In current times, states and international organisations have enlarged their view about security issues and moved from the need to respond to traditional threats to security to the need to develop capabilities for new security risks. In this respect, the European Union has contributed to broaden the notion of security, mainly anchored in national foreign policy and defence, now pursued in a framework of cooperation and solidarity among EU member states and associated countries to respond to any societal security threat inside and beyond the European borders. The EU operates in a multidimensional setting, not only because security problems are conceived in a comprehensive manner, but also because the EU has to deal with a wide range of actors at different levels: its member states, national and international NGOs, international organisations (NATO and the UN in primis). In addition, a wide range of activities, rules and norms are generated for these diversified security challenges. The book aims at assessing the current theoretical debate on the EU’s ability to cope with increasingly transboundary challenges (terrorism, proliferation of weapons of mass destruction, regional conflicts, state failure, organised crime, natural and man-made disasters); offering an in-depth analysis of sub-policies (crisis management and resilience; formal/informal institution-building); providing an empirical evaluation through case studies. 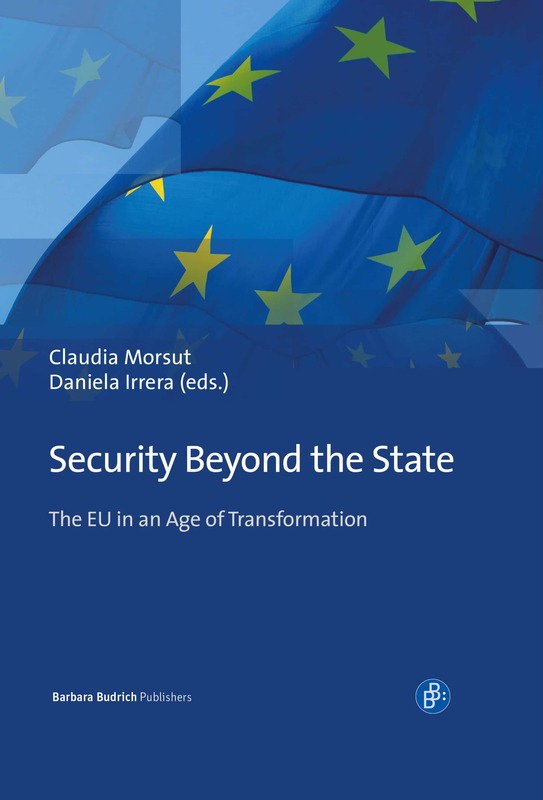 The collective volume Security Beyond the State, edited by Daniela Irrera and Claudia Morsut, is an original contribution to European studies, coherent and courageous in innovating against the current mainstream, notably in two research fields. Firstly, the book provides fresh research showing that security, one of the main rhetorical issues supporting nationalism and populism represent, by contrary, cross-border challenges and, therefore, strong arguments in favor of European resilience and even further integration and cooperation. Secondly, the book links in a convincing way the security challenges to the continental socio-economic community-building, the very soul of the EU as a security community, distinct from the Anglo-American neoliberal model. Thirdly the book strongly addresses the need of a deeper democratic legitimacy of EU policy-making against conventional wisdom.